De Ruijter International USA, Inc. | Furious Stylz, our four-legged friend. Home › Furious Stylz, our four-legged friend. Furious Stylz, our four-legged friend. Feline steals the heart of all she meets. 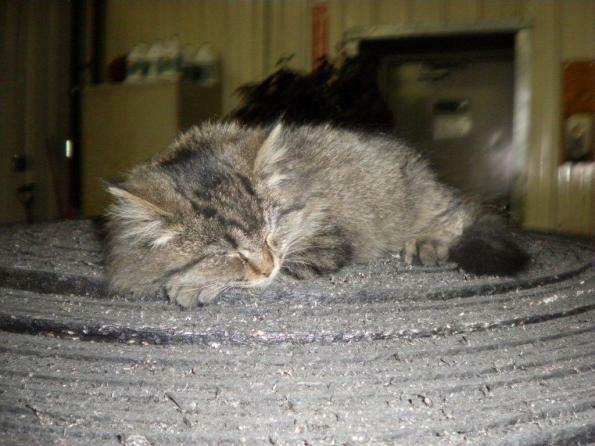 A few months ago, a kitten was discovered scavenging the lot at De Ruijter USA. After some careful planning and approval from the powers-that-be, the kitty was welcomed into the DRI family with open arms. Her given name is Furious Stylz, but most simply refer to her as Fury. 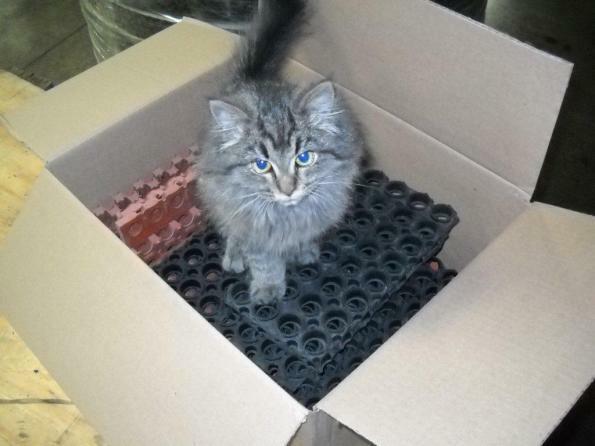 Although her favorite past-times include napping on a stack of pallets or pouncing on dust bunnies, Fury has taken on many roles in her short time here. She serves as watchdog, protecting the building at night and on weekends; supervisor, overseeing all warehouse operations and keeping everyone in line; part-time shipping manager, helping to package samples; and company mascot, boosting the overall morale of employees.